What kind of a world is it where one cannot lay down one’s life for one’s friend? The police and the army were working flat out, they said. Only a matter of time till they found Aldo Moro. The old man did not believe them, and they had turned on him. So he wanted to offer himself in ransom? What if the terrorists took him at his word? What good would that be? “As much good as I have ever been,” he had wanted to say. A knock on the door. The boy from the library. With Alcide de Gasperi, and the Americans, of course, they had rebuilt Italy after the war. Aldo Moro and Giulio Andreotti ran the State. He ran the Church. The free world was in their debt. Then, the previous March, on Via Fani, Aldo Moro was kidnapped, and all their certainties flew in their faces: loose paper on a sudden wind. He, the Pope, wanted to offer himself in Aldo Moro’s place. His life for the life of his friend. And he could not. Again, a knock on the door, quiet and insistent. Pasquale? No. The young priest, the one whose name he could never remember. The old man could see Giulio Andreotti bending over to whisper in Pasquale’s ear. He could smell the soap he used. Feel the cold, clammy touch of his hand. The old man walked over to the table. But there was no pile of books, there was only one book. Not even a book, at that. A notebook. With scuffed covers. And page after page of tiny handwriting. He had ordered other books, and they had been in the young priest’s arms. Where were they? Now there was only one book. This little one. He took it and began to read. This book is currently out of print, but may be available in libraries or through the second hand book market. They had locked him up. To nullify the vow of his most anguished hour. His last vow, but the first he intended to keep, at any price. To tell the truth. The Church disintegrating. The loss of the last great protection of mankind, the Holy Grail. Can someone who had a hand in such evil ever find peace? 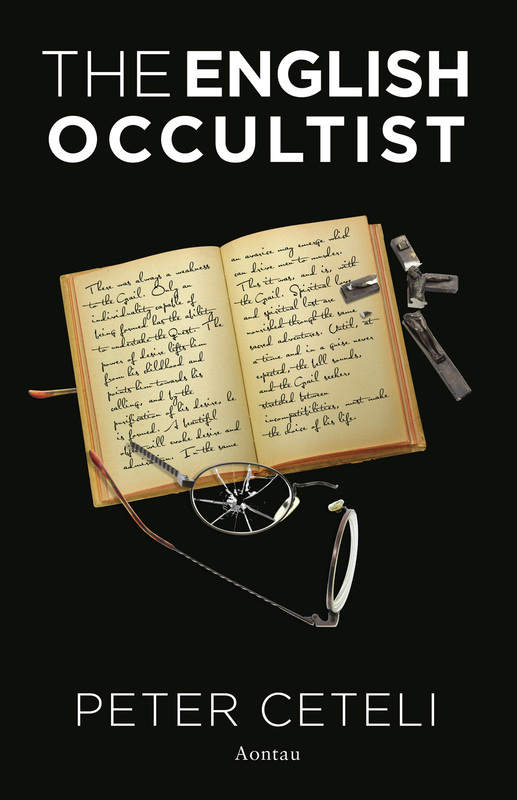 Set in Italy in 1978 and in France and Germany in the early 1930s, The English Occultist tells the story of a crisis in the lives of two characters, Pope Paul VI and an unnamed Englishman, whose notebook the Pope is reading. Both men are waiting in near despair: the Englishman for his reception into the Catholic Church, from which he expects relief from maladies physical and spiritual, the Pope for news of his friend, the politician Aldo Moro, who has been kidnapped by terrorists. The notebook reviews the Englishman’s life as an initiate, records conversations with both mentors and opponents, and describes vividly the events that shape his tragic fate. Pope Paul realises that he is implicated in the Englishman’s predicament as the Englishman is in his, and struggles for the courage to act.